Call Gilroy Bail Bond Store For Bail Bonds & More! Along with providing affordable bail bonds for defendants, Gilroy Bail Bond Store can also conduct FREE anonymous warrant searches. If you are curious to know whether or not there is a warrant out for your arrest or the arrest of a loved one, you can ask Gilroy Bail Bond Store. We will search through the legal databases for active warrants. The hope is always that the search turns up negative, meaning that there is no arrest warrant for you or your loved one. However, if the search does happen to turn up as an active arrest warrant, then you can discuss possible bail options with us here at Gilroy Bail Bond Store. Then, you will need to turn yourself in to the police. You will go through the booking process where your mugshot is taken, your loose items confiscated, and more. Your arraignment hearing will follow the booking process. This will be where the charges against you are formally filed and your bail determined. Once the judge announces your bail, then Gilroy Bail Bond Store can begin the paperwork. The cost for a bail bond is 10% of the full bail amount. That means if bail is set at $40,000, then you only pay $4,000 for the bail bond. Although this $4,000 is not refundable, you get a certain amount of weeks to pay it off, as agreed upon between you and Gilroy Bail Bond Store. People who decide to post bail without a bail bond, meaning they pay the 100% cash bail, they can get their money refunded as long as they show up for court, but it often takes them longer to come up with the money to pay for bail. They may be in police custody for weeks or months before they have all the money to pay for their bail. More often than not, bail bonds are the faster and more affordable route to posting bail. Whether you are in need of a bail bond, an anonymous warrant check, or both, Gilroy Bail Bond Store is the team you need by your side. Our bail agents are friendly, compassionate, and reliable and will be with you each step of the way. Gilroy Bail Bond Store is available 24 hours a day, 7 days a week (including holidays) and can be reached online or by phone at 831-422-8800. Call us anytime and get your FREE consultation. 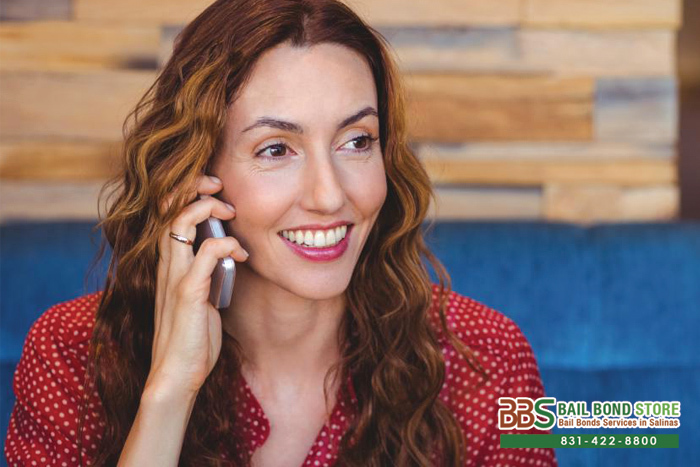 Bail help is only a phone call away at Gilroy Bail Bond Store, call 831-422-8800 or Chat With Us now.